Do you want to lighten your smile and enjoy a youthful, sparkling grin? In the past, cosmetic dentistry patients had only a few teeth whitening options. Today, we proudly offer advanced KöR® Deep BleachingTM, a revolutionary new treatment to permanently whiten teeth. This treatment combines in-office and at-home techniques to achieve more dramatic results than older methods can provide. 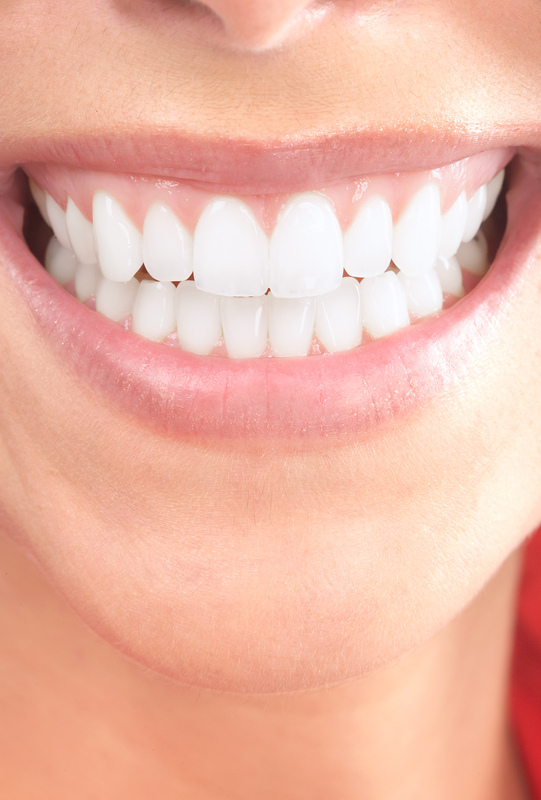 We still offer traditional at-home whitening, an affordable option that can lighten your smile by six shades or more. When you come to us for cosmetic dental treatment, we will discuss your goals and budget, and we will help you choose the treatment that is most suitable for you. There are two types of dental discoloration. Extrinsic stains, which are the most common variety, typically result from certain foods and beverages. Products like red wine and coffee will leave dark molecules clinging to your dental enamel. This will result in yellowish or brownish stains across all of your teeth. Extrinsic stains can also result from smoking, genetics, medications, and similar factors. Intrinsic stains are less common, and they are located inside your teeth. This type of discoloration is often caused by certain medications, such as tetracycline. Intrinsic stains are dark brown, and they may only affect one or two teeth. Why Choose KöR® Deep BleachingTM to Whiten Teeth? Deep BleachingTM can target both intrinsic and extrinsic stains. KöR® uses peroxide-based whitening gel to whiten teeth. The peroxide will set off an oxidation reaction that will break apart stained molecules. Advanced KöR® penetrates far below the top layer of dental enamel. Therefore, it can erase both types of discoloration. No other whitening treatment can do this. KöR®Deep BleachingTM can lighten your smile by up to 14 shades. KöR® offers extremely dramatic, yet natural, results. Traditional dentist-provided methods can typically whiten teeth by 6 to 8 shades. Do-it-yourself options yield minimal results, perhaps lightening your smile by 1 to 4 shades. KöR® Deep BleachingTM is also the only permanent teeth whitening treatment. You can continue to enjoy even the most notorious stain-producing foods and drinks. However, you will experience no ill effects on the color of your smile. To maintain your smile, you will need to perform a few touch-up treatments, using your custom-made whitening trays. These treatments are quick and convenient. KöR®is suitable for younger patients. Patients age 14 and above can undergo Deep BleachingTM. In fact, younger patients will typically enjoy more dramatic results, and the treatment will give them a stunning, white smile for life. Although young patients may enjoy the most brilliant effects, KöR® can also have outstanding results for adults up to age 90. Deep BleachingTM is virtually discomfort-free. KöR® bleaching gel has a unique formula, specifically designed to eliminate sensitivity. In fact, if you have not been able to tolerate other forms of teeth whitening, you may be an excellent candidate for Deep BleachingTM.